If you live in Florida, that’s a good enough reason right there to install these types of windows. Impact resistant windows or hurricane shutters are a must if you live in this region of the country. You’ve heard about the nasty hurricanes and perhaps you’ve even experienced a few yourself. When you live in Florida, you have all the reason in the world to go for these windows. You know impact resistant windows can help you out in the event of a hurricane or another nasty storm, but what do they do the rest of the year? Plenty. These windows have superior insulating capabilities, which allow them to keep your energy inside where you use it. Climate control inside is easier, which makes your HVAC system work less. That makes the windows desirable to potential buyers if you sell the house in the future. In the meantime, your monthly bills will be smaller because of the windows. If you had hurricane shutters in the past, you know it’s a pain to get them out and put them up when a storm is coming. Then, when the storm season passes, you have to take them back down to be able to see out your windows again. Impact resistant windows are different because they’re permanent and offer protection whenever you need it—without you having to do a thing. They’re always there, working to protect your home. They even work well against other threats, like neighborhood kids who like to play ball or golfers on nearby courses with a bad hook. One of the most expensive things you have to replace in a home is the HVAC system. You want yours to last as long as possible. Impact resistant windows will give your system a break since they’ll keep the air inside your house without allowing leaks in either direction. When your HVAC system works less, it lasts longer, which is never a bad thing for your budget. Are you ready for impact resistant windows in St Petersburg, FL for one of the above reasons, or for any of the other many reasons that exist? 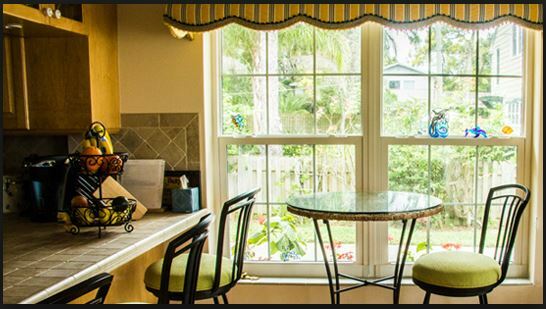 Contact Clearwater Window & Door for more information on these windows by calling (727) 559-7007 for a free consultation. We’re here to get you the information you need to make informed decisions. You can also stop by and see the windows yourself at 2025 Gulf to Bay Blvd, Clearwater, FL 33765. Your satisfaction is our top priority. Get in touch when you need us.